Will this circuit work for smoothing out DC adapter output? I have a battery driven touch activated kitchen faucet. I am trying to convert it to DC adapter operated one to save on batteries. First thing I tried is just hooking up a 9V 2.5A DC adapter. It kind of worked but the faucet would turn on and off erratically without being touched. I figure that electronics are sensitive to fluctuations that are not present when battery operated. Am I right by thinking that the erratic behavior is due to fluctuations or is it likely due to something completely different? If it is due to fluctuations, would the following circuit smooth them out? If yes, what specific diode do I need to make this work? Is this a common problem? I did a conversion like this for some battery powered motion sensor lights and they work but once a month they need some kind of a "reset" to work again. Could that be also related? Note: as you can tell I'm a complete beginner at this. I kind of just googled stuff and figured out things in circuit simulator, but I have no idea what I'm doing so I would not be surprised if I'm on completely the wrong track in trying to accomplish this. First. Using AC/DC adapter near water and Earth-connected conductors requires excellent protective measures in that adapter. The risk is in breaking the isolations between primary (input) and secondary (output) sides of adapter. That can be lethal even in case of minor leaks. Second. The reason of erratical behaviour of faucet is fluctuations. Not in differential voltage (across DC input), but rather in common-mode voltage of secondary side relative to the Earth. If you use switched-mode DC adapter, it (very likely) produces high-frequency (HF) common mode current, which may lead to significant HF common-mode voltage on secondary part, which is the reason of bad touch-detector behaviour. There are a number of ways to mitigate it, but taking into acount (First), I would not recommend doing that. How about using rechargable batteries (may be low self-discharge, LSR version) to 'save on batteries'? This is safe and reliable (will not induce erratical behaviour). 1)to be honest, I don't think the fluctuations would be causing that. Batteries themselves cause bigger issues when their own voltage drops with normal usage. I do not know the levels of your equipment though. It would be helpful if you mentioned what kind of batteries it needs. 2)the circuit you write will work, but the value for the capacitance is rather huge, as someone commented on your post for that voltage value it is a problem, and having that much of a capacitance might cause other issues(voltage might go above what you specified depending on the situation). I think a not so huge capacitor still can get the job done. 4) I don't think it is related. I have one thing to propose, I don't know what is the actual input voltage of the faucet with batteries. For example, if it uses 4 AAA batteries it could be 6V if they are in series, try to match this voltage the best you can. I guess since your circuit says 10V it could be close to that? If your adapter does not match you can use DC/DC converters or buy an adapter that is closer to the value you need. I believe this is most critical in general. Not the answer you're looking for? 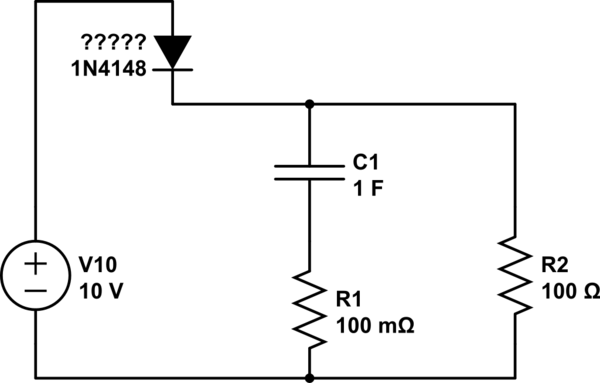 Browse other questions tagged power-supply circuit-design or ask your own question. Could a modified sine wave inverter destroy/damage the AC adapter for a laptop? Will this circuit (for a guitar effects pedal) work? Will this I2C isolation circuit work? Will this 18650 tp4056 parallel circuit work for charging and simultaneous power supply or will things break? Noob questions: I'm confused about conventional current and electron flow and how it runs through and powers a circuit. Can someone please explain?